Everyone needs a good sturdy reliable flashlight and we have the perfect one for you. 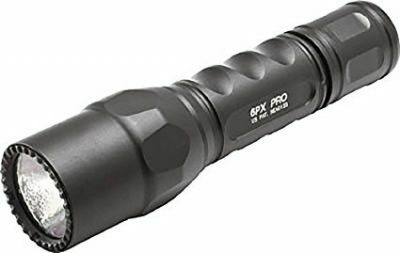 Today only, get the SureFire 6PX Pro Dual-Output LED Flashlight with anodized aluminum body for only $39.99. The high-strength aerospace aluminum body is smoothly sculpted for a comfortable, secure grip and is hard anodized to military specifications for extreme resistance to scratches, abrasion, and corrosion.